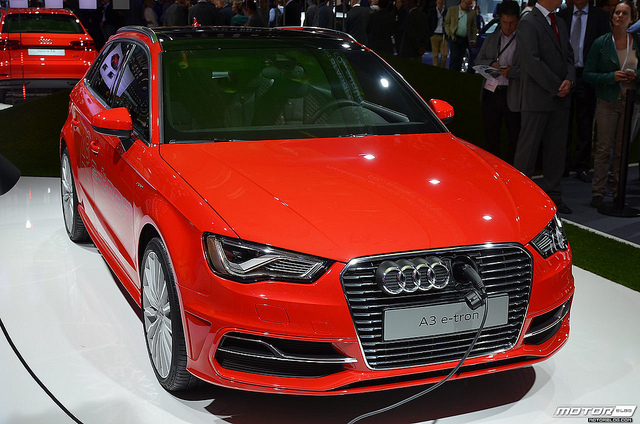 The Audi A3 E-Tron is the first electric car produced by the company. The E-Tron is a plug-in hybrid that is capable of producing 2014 horsepower and 258 ft-lb of torque. Although the auto only sees an 18 mile range when running in electric mode, it can go from zero to 60 MPH in under eight seconds and is one of the greenest cars on the road today. The vehicle also has a large amount of storage space for a hybrid featuring 40 cubic feet of room which is above average for the green cars on the market. The A-3 E-Tron also handles extremely well, and can go more than 550 miles on a single gas tank.